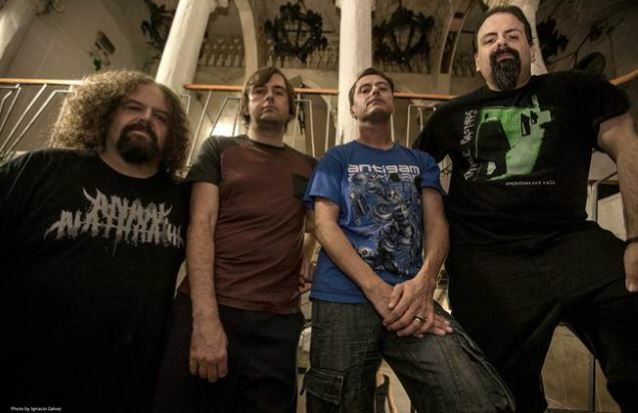 Grindcore pioneers Napalm Death have enjoyed a pretty consistent ride through extreme metal (barring a few slight missteps in the ‘90s). Weathering the storm far longer than much of their brethren, it comes as little surprise to anyone who has followed them for any length of time. Napalm Death’s ‘music with a message’ approach is still just as relevant as it ever was, and that’s precisely why Apex Predator – Easy Meat will be an easy sell to the band’s legions of fans. Apex Predator – Easy Meat shows no signs of Napalm Death slowing down. Blistering and grinding numbers like “How the Years Condemn,” “One Eyed,” and “Smash A Single Digit” show the band’s continued mastery of the genre with feverish intensity. It’s hard to sit still and contain the energy of tracks like “Cesspits” and “Stubborn Stains” as they flow through your body. Sure, they’ve built their template upon ‘noise for music’s sake,’ but it’s the band’s tendency to experiment that sets them apart and distinguishes them from their peers. This time around, there’s the tribal-esque title track that opens the album, the thick groove of “Timeless Flogging,” the throttling build to the creepy climax of “Adversarial,” and the sung vocal chorus of “Hierarchies.” The pick of this bunch would have to be the slower and more eerie approach to “Dear Slum Landlord,” which features some spoken/chants verses alongside Barney Greenway’s visceral roar to impressive effect. Those with a narrow view of grind should be easily swayed by the variety that is displayed here. 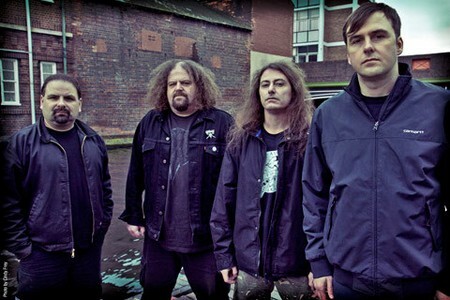 It appears that the years have not condemned Napalm Death, but allowed them to continue flourishing. 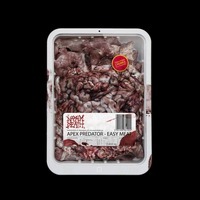 Hard to believe Apex Predator – Easy Meat is the band’s fifteenth album to date (not to mention the countless EPs/splits). But it just goes to show that when you have something important to say and the abrasive music to back it up with, you’ll always have a captive audience. 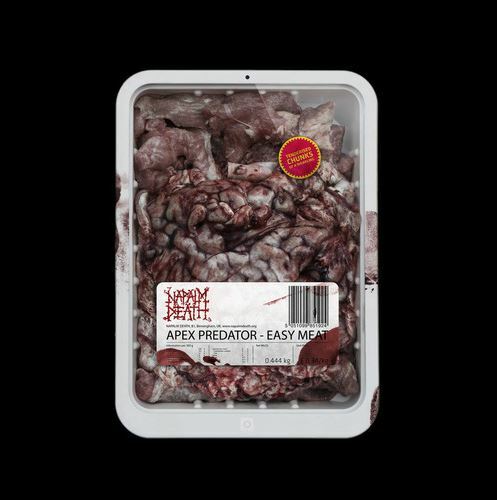 Apex Predator – Easy Meat is just one more confirmation of Napalm Death’s legendary status within extreme metal.